Christmas is coming. And I haven't forgotten YOU!!! Sew Fresh Santa has your name written on the "Has Been PARTICULARLY Good" list. And while I know you are all busy preparing for the upcoming Christmas festivities and making gifts for all those loved ones on your list.... Please don't forget to treat yourself! 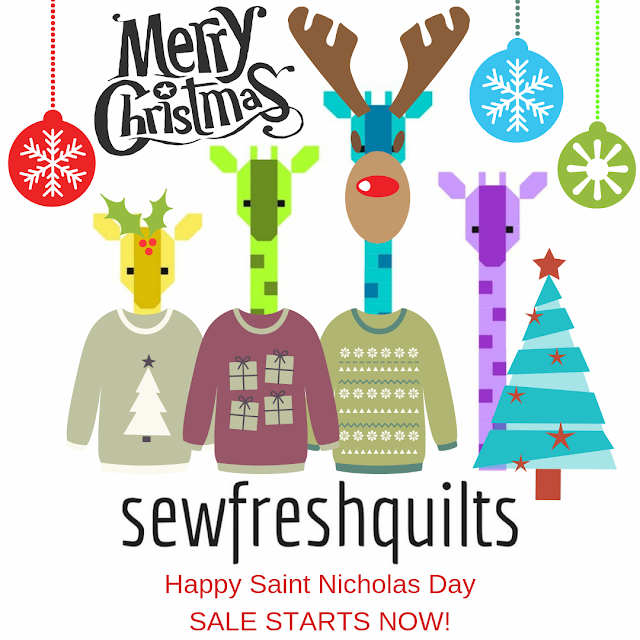 HOHOHO yourself on over to the Sew Fresh Quilts shop by clicking here. Use HOHOHO to save 50% off your entire pattern purchase until December 31st! There is a new elf in house. Austin has been helping me with some photography and today's post is featuring photos taken by him. You can find Austin on Instagram here. Don't forget to stick a little something in the stocking of someone you love! Just added WOW - E to the collection! Very much appreciate the Hohoho! Thank you, Lorna! This is so very sweet of you!